2. LX FACTORY - An industrial complex that is home to several only-in-Lisbon restaurants, shops and offices. Dining options include Cantina, Taberna 1300 and other casual pop up style cafes. 3. Prado - Prado celebrates the best Portugal has to offer, from sea to land. All Prado dishes are inspired by and made with national, seasonal, and fresh ingredients. Basically, if it's not in season, it's not on the table. 4. 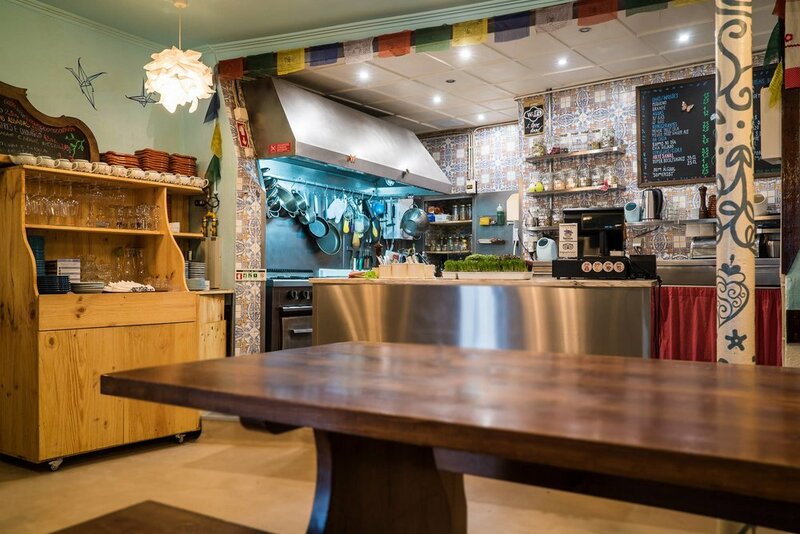 The Food Temple - offers vegan and vegetarian cuisine on a rotating menu with plates the perfect size to course out your meal. Be sure to save room for dessert! 5. Pastéis de Belém - In 1837 they began making the original Pastéis de Belém, following an ancient recipe from the Mosteiro dos Jerónimos. That secret recipe is recreated every day in their bakery, by hand, using only traditional methods. Even today, the Pastéis de Belém offer the unique flavour of time-honoured Portuguese sweet making. 7. Ha Tapas no Mercado!! !Enjoy a large selection of local tapas from a simple but delicious menu. 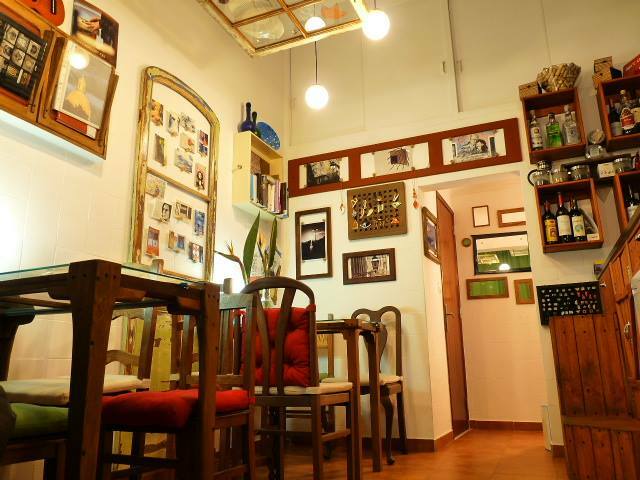 This is a small, family owned restaurant that creates a welcoming environment and unique Lisbon experience for travelers. 8. Estamine - a charming and cozy art & coffee that sells ceramic work, watercolor pictures and photos made by the owners. Moreover, offer a variety of tasty and homemade finger food, nibbles, coffee and drinks! 9. Água pela Barba - This hidden gem is a casual and reasonably priced seafood joint that offers a variety of fresh catch in a relaxed environment. A local fave! 10. 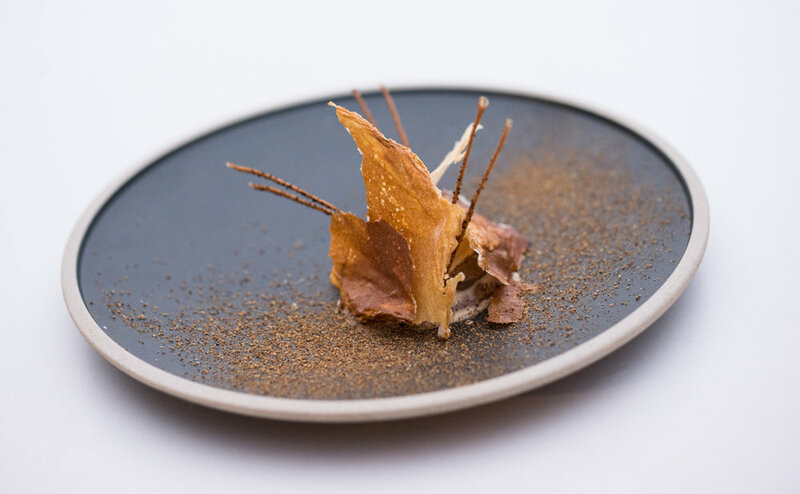 Beco Cabaret Gourmet - Chef José Avillez creates a memorable and surprising experience where the pleasure of haute cuisine meets the allure of show business.Book a “dinner-and-show” ticket. We hope these recommendations will help you eat well when you’re in Lisbon. If you are looking for more reasons to visit Lisbon, check out our Lisbon program here.